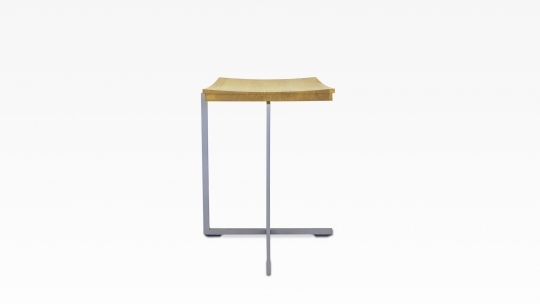 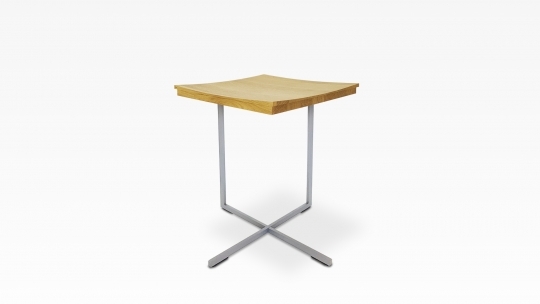 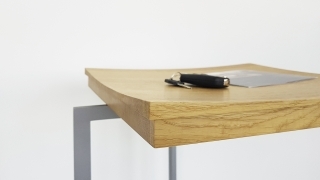 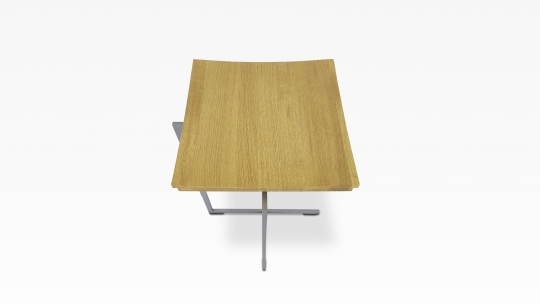 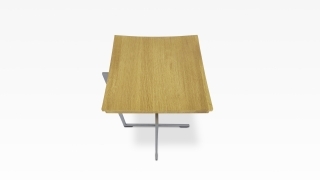 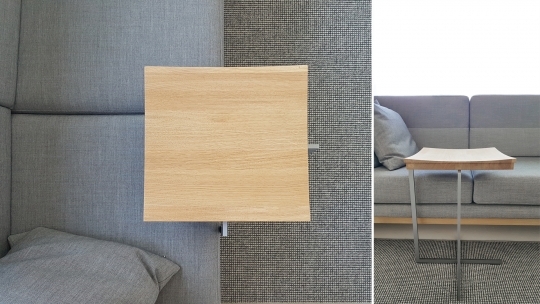 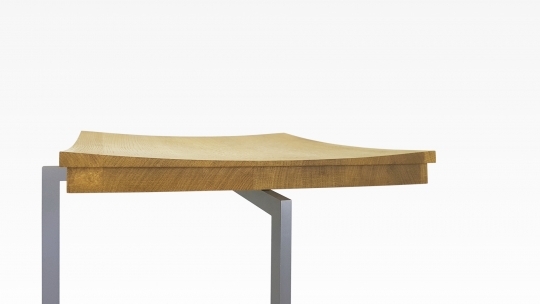 The side table FLOAT impresses with its lightness and thin lines. High quality finished oiled wood plate with concave shaped tray is supported by a slender steel frame in warm gray. 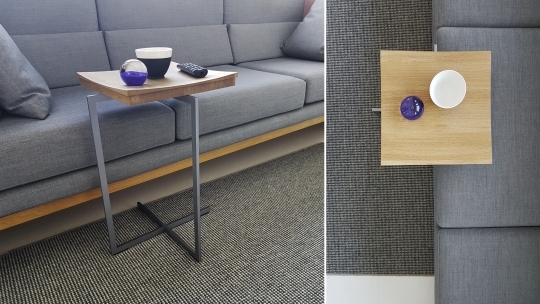 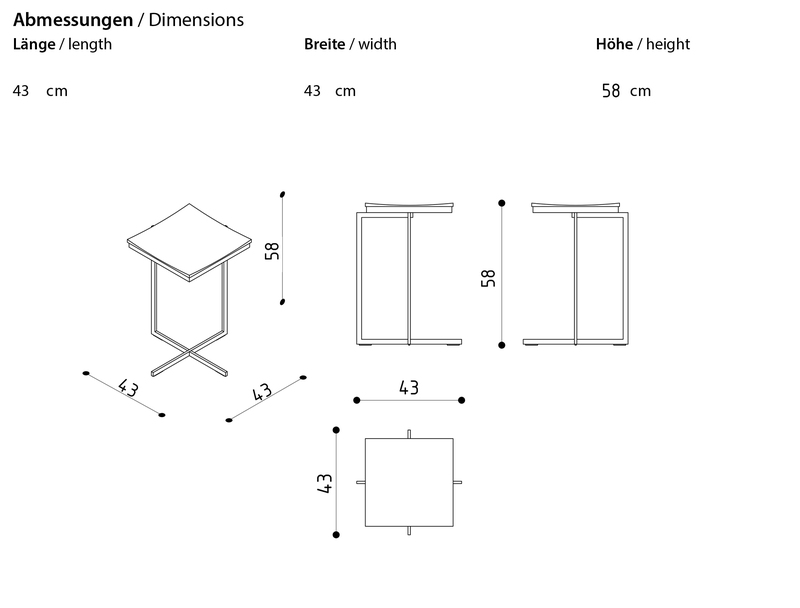 The table floats above the sofa or chair thanks to the only two supporting legs of the design.